David Soll, Democratic Candidate for County Board is having a fundraiser on July 25th. 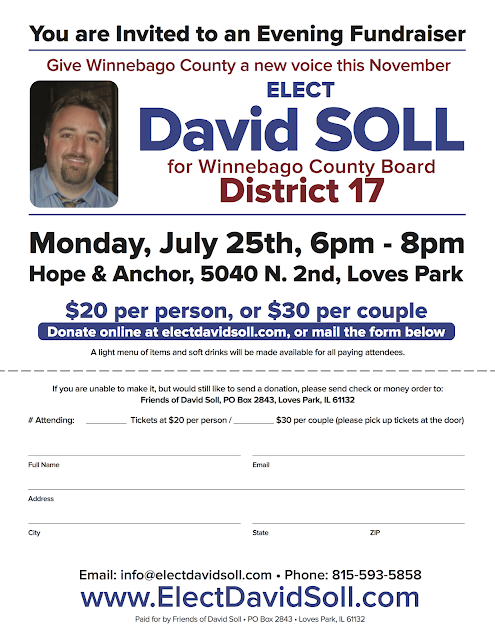 Come out and support our fellow Dem! July 25th, 6 to 8 pm, Hope & Anchor, 5040 N. 2nd, Loves Park.